Humans aren't the only ones with allergies. In fact, allergic conditions are relatively common among dogs. If you think that your dog is suffering from any allergic reactions or skin conditions due to allergies, it's important that you get them to a pet dermatologist at a pet hospital as soon as possible. Once with the veterinary practice, your pet dermatologist will help you to come up with the best means of care possible. Often times, they will prescribe medications or antibiotics for your animal. However, there are ways to relieve your dogs' allergy symptoms while you and your vet seek the cause and best solution to the allergic reaction. Even if you have all of the flea protection possible in place, your dog might still be susceptible to flea bites. Veterinary technicians recommend walking your dog at least once a day; it's more than possible for dogs to contract flea bites during their daily walk. And for dogs who are allergic to fleas and their saliva, just one or two bites is enough to make them itchy and uncomfortable for weeks. If you think fleas are an issue for your dog, take precautionary measures. Comb them with a flea comb once a day. Also, bathe your dog often, as a soothing bath will kill fleas on your dog, aid with skin irritation and make them feel more comfortable. Additionally, fleas are less prone to biting dirty dogs. Finding the right food and portion sizes for your dog can be difficult. 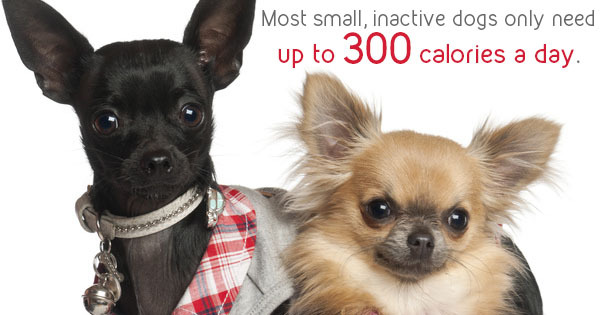 For example, most small, inactive dogs only need up to 300 calories a day. On top of that, your dog might be suffering from food allergies that can cause them a great deal of discomfort. Typically, symptoms can include digestive upset, coughing or sneezing, red, irritated eyes, nasal discharge, inflamed ears or swollen paws. If you suspect that your dog has a food sensitivity, there are many things you can do to learn the source. If your dog is over a year old, try getting a saliva test from your veterinary medicine professional. If your pet has had a consistent diet for months or years, they may have developed an allergy to it. Just like humans, pets require diversity in their diet. Typically, dogs are susceptible to grain or other carbohydrate allergies. In order to find the culprit, try an elimination diet that slowly incorporates new foods into your pets' diet. That way, you'll be able to find the source more easily. Talk to your pet dermatologist about a diet that would work best for your dog. More than 46 million households have dogs and many of these furry friends have allergies. Learn how to spot the signs to make your dog as comfortable and happy as possible.